KUALA LUMPUR (March 3): AmBank Research said it expects Bank Negara Malaysia (BNM) will maintain its current monetary policy owing to uncertainties. In an economic report today, AmBank's chief economist Anthony Dass said he was of the view that BNM will continue to keep the policy rate at 3%, at least until September 2017, after the German election. 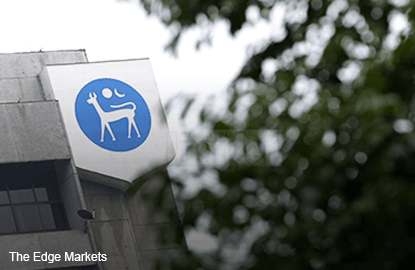 "By taking into account of the fundamentals and ongoing external noises, we found a 30% chance for BNM to raise rate by 25 basis points (bps) during the November MPC (monetary policy committee) meeting," said Dass. He said the economic growth will be supported by private sector with positive contribution from exports. Dass said that on the back of higher inflation outlook from the base effect, cheap ringgit plus firmer commodity and oil prices, the current policy rate of 3% will result in a further erosion of the real returns. He explained that the lowest level of real returns recorded was in July 2008, at -5.08%. "In the meantime, we found a 45% chance for a potential statutory reserve requirement (SRR) cut, which is currently at 3.5%. "Part of our argument is that liquidity is tightening as reflected by the rising trend of the loans/deposit (LD) ratio since November," he said. Dass said a cut in the SRR should release around RM5 billion to RM6 billion of funds into the banking system. "The last time we saw an SRR cut was in January 2016 by 50bps to relief the tightening liquidity," he said.